Riesling happens. It brokers the nescient consumer with the gift of grape enlightenment. It plants an organoleptic ear worm, urging a leap of faith to discover, to seek out the world’s most versatile, divergent and tractile wine. Riesling comes in so many shapes and sizes and that is why it is so difficult to offer up one’s trust, because if you don’t know, you never know what you are going to get. Dry, sweet, late harvest, dessert, racy, round, or a combination of it all? 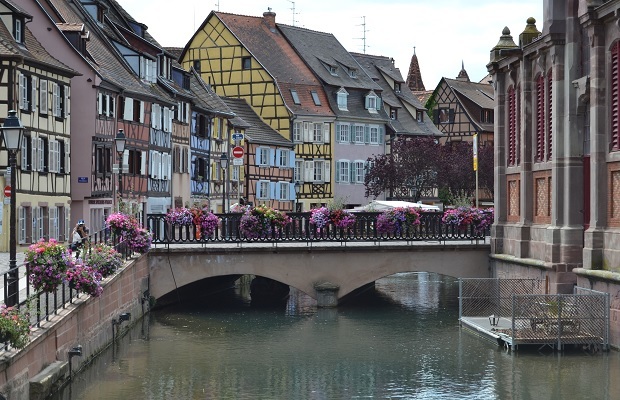 Alsace is distinguished by a very specific set of vinous attributes. No other area in France is as dry and only Champagne is further north in latitude. In typical climatic years, the aridity of the summer months, followed by the humidity of the fall fosters the development of a beneficial fungus called Botrytis cinerea, better known as noble rot, which concentrates the sugars and preserves acidity. The catch is that not every vintage works to guarantee the pourriture noble. When conditions are prime, some producers insist on picking before it sets in. Others think of it as gold. Pierre Gassmann of Rolly Gassman says all of his wines are noble rot wines, but he calls them Riesling. 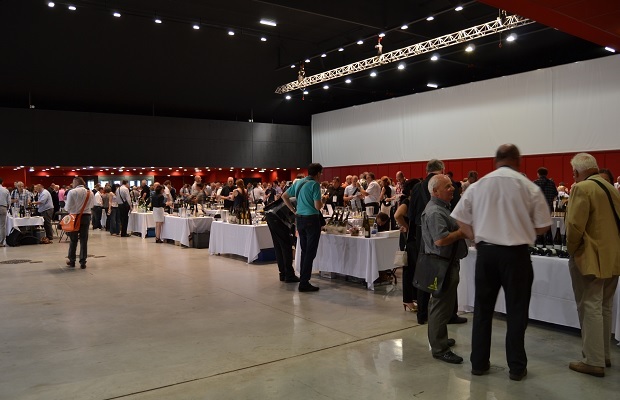 A trip to Alsace and a week of tasting with producers opens the door to Riesling perception. I begin my Haut-Rhin road to Riesling perspicacity with @Stentz_Buecher and the women of @diVINesdAlsace. Twenty-eight are poured, including eight from the exceptional 2000 vintage. The full day that follows at Millésimes Alsace with SOPEXA and CIVA enriches the trenchancy to act as Riesling 101 for the winemaker visits to come. To set the record straight, there has always been dry Riesling made in Alsace. There have also been white wines made in blatantly off-dry styles. Bringing the two poles together in seamless coordination is no easy task. The duality in character of combining straightforward, linear acidity and bright, sometimes exotic fruit is a concept, though in sweet emotive intention, that remains buoyant in the persevering air of aridity. 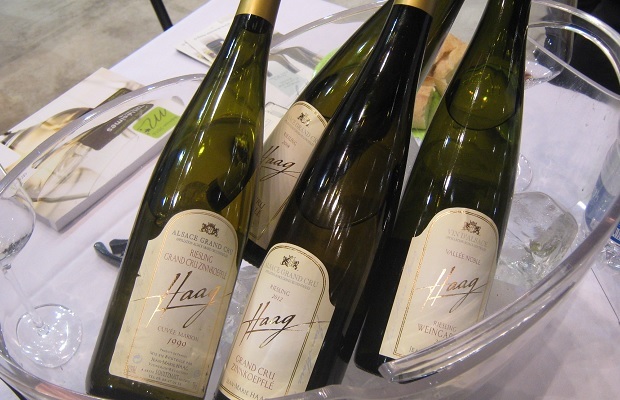 It helps to define the transformative trend towards dry Alsatian Riesling. 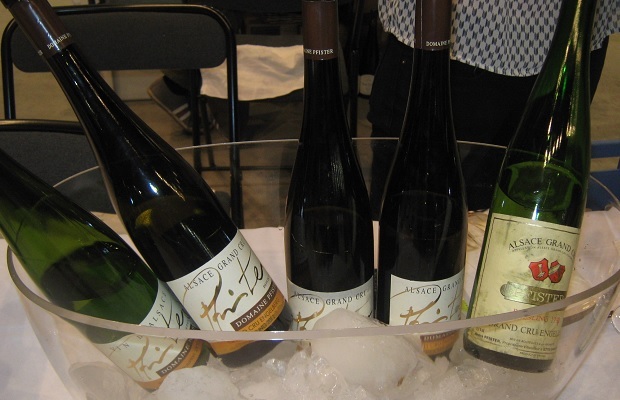 Here are Rieslings from a wide range of Alsatian Grand Cru and lieu-dits (single vineyard, named), in 31 flavours. “All are noble rot wines, but we call them Riesling.” This is the irony from the mouth of Pierre Gassman, especially in consideration of this, the driest in his portfolio. For so many Riesling, 12 g/L of residual sugar would ring like a morning alarm but the Réserve Millésime, a limestone chalky and buzz tangy Riesling, acts as if it’s super dry. This is the 9-plus g/L of acidity talking and the calcaire soil, though some clay gives it weight and grounding. 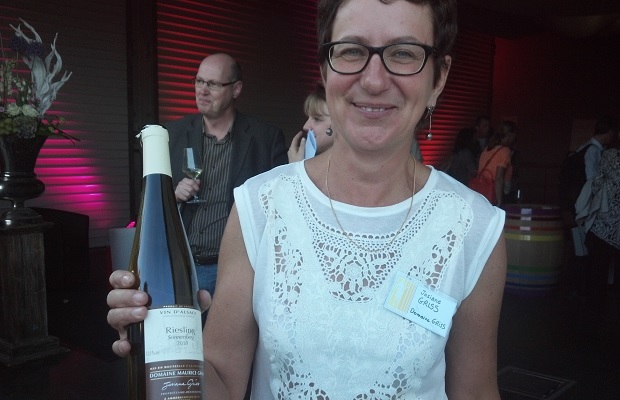 A Gassman Riesling as dictionary entry to define the dichotomous behaviour of Alsatian Riesling. A perfect example that should taste sweet but does not. An impossible yet beautiful act of vinous science. 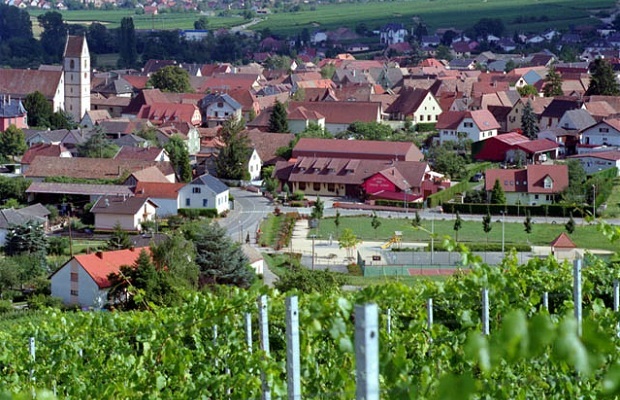 The Silverberg is the “silver mountain,” a Grand Cru not unlike Zind-Humbrecht’s Clos Windsbuhl and located at Gassman’s home base, the Haut-Rhin village of Rorschwihr. This has to be the producer’s most impossible Riesling. The lab results of 16 g/L sugar, 13 g/L acidity, 2.86 pH and 14 per cent alcohol mean that it is not really wine at all. But it is, a linear drip of liquid silver with a direct hit of lemon-lime-orange-grapefruit solution carried within a membrane of viscous honey. Specs be damned, this is bone dry with a speeding, direct citrus laser hit. Riesling with its very own Gassman dialect known as the muschelkalk sound. If you’ve ever had the good fortune to spend any quality time with Gassman’s wines you will cop no advanced character from this late harvest mineral expression in bitterness unchained, yet restrained sumptuous VT. A clear entry pauses to smell the quince, apricot and white flowers. The ultimate resolve is a long aftermath tinged by an (80 per cent of the vines, highest in the Gassmann holdings) noble bitterness. The vines are also some of the oldest, dating back to 1942. Oiled density and excellent length define this Riesling though it’s hard to figure whether or not it acts like a reduction sauce or a spiked tipple. One does not taste and mull a VT like this without pause or cause to wonder. Not an easily understood wine by any stretch of reality so book a flight of fancy and enjoy the ride. One of many exceptional Rieslings from the 2000 vintage in which cloying is simply not an issue. Hard to imagine more versatility from this level of residual sugar to work alongside hors d’oeuvres, fish and the cheese plate. Kappelweg offers up fruit in matronly, door is always open generosity and maximum concentration as much as any terroir in Alsace. From 50 per cent noble rot affected at a resounding yet justly calculated 42 g/L residual sugar number, this baby-faced, early rock ‘n roll Riesling gives off its habitual white flower scent. A product of blue clay (closer to the sea) and a of a botrytis mined with calcaire in mind. “When you have Kappelweg, you have noble rot,” resigns Pierre Gassman. With a Gasmann Riesling “it’s one for the money, two for the show.” With Kappelweg it’s “three to get ready, now go, go, go!” The king of Riesling in blue suede shoes. The Pflaenzerreben translates as ‘plants de vignes’, or even more simplified as the ‘vineyard’! From the Rorschwihr blue clay with silt and Muschelkalk limestone soils, the ’00 is still a baby. Yellow flowers blow from a complex nose, along with waxy, medicinal tones. The aromatics are high, which helps to subdue the noticeable (19 g/L) sugars. More aid comes by way of the Calcaire tannin and a six to eight-hour slow pressing, “ensemble,” notes Pierre, with no separation and a resulting “tout doucement” clear juice. The wonders of 2000 emit from the Gassman oeuvre. Here is Riesling that resides on two sides of the notorious Alsatian, sugar-acid ubiquitous fence. Pflaenzerreben reads like a veritable ECG. There is both citrus-spiked negative deflection as well as a sweet (16 g/L) elegance in positive deflection. The calcaire chalk posits the tug, the struggle between the poles. He/she admits “once a man, like the sea I raged, once a woman, like the earth I gave.” In the end this cinema show of a Riesling has “in fact more earth than sea.” One of the Genesis Rieslings of Alsace. Though Pfister continues to forge this Riesling from six micro-plots in the Silverberg lieux-dit, the name Tradition takes over, as a stylistic ode from 8th generation winemaker Mélanie Pfister to her father André. Built upon a solid permeate in limestone, the residual is dastardly low, in the 7th generation vintner’s way. Beautifully dry, somewhat misunderstood in its youth, in need of time. The “Angel’s Hill,” a south-facing and third most northern Grand Cru in Alsace. The Pfister take is reserved with extreme umbrage, an arid tug between brix and acidity, a fragment of what it may become, a portal into a Riesling analect. There are ripe phenols to be sure and a gentle, lingering calm. This will need years to develop. Right now it’s all lemon, lime and flinty stone with no periodic oscillation. Here comes the Pfister mindset out of a warm vintage, picked early in September. Go figure the still bracing acidity trumps it’s still beating heart. A slight sense of sweetness lies therein but the obvious minimalist tradition persists. Lacks the length of ’12 and offers nearer gratification. This is an example of why acidity is not the number one catalyst for success and for aging, so ’11 will both be like and unlike ’12. The ’10 is altogether different. There is petrol on top, pumping invisible ozone with an elemental intention. The welkin adds richness and viscosity, though for Pfister that is merely relative as compared to say…Gassmann. The ’10 is a fastball and it is hard not to get caught looking. Vinified bone dry (2 g/L) and due to the difficulty of the vintage, Mélanie left it on the lees for two years. The result is a perceived sweetness chaperoned by texture. Will require 10 years minimum. Beautifully dry, primary still, laden with citrus. Though not as gorgeous as some, this bridges the gap and emphasizes the Pfister Engelberg opus. It is amazing that it is yet to show any discernible evolution and every indication says it will live on forever. Or at least 15-20 more years. Here lies the crux of the Pfister vinous chrestomathy, like a literary work that cannot, in principle, ever be considered finished. From the third in a trilogy of great vintages, the ’90 has ego to spare, remaining so young and unresolved. The aroma profile is floral, almost medicinal and with a pronounced clotted cream note, the wise Cru remains youthful and nearly primary. Five minutes in glass does bring texture and an aged cheese taste, like Tomme fermière des hautes Vosges. The Grand Cru lies at an altitude ranging between 250 and 350 metres. The sub-soil is made up of calcareous sandstone and micaceous sandstone (Muschelkalk at the base and Bundsandstein at the top). Vines were first planted in the 1950’s. Paradis is a historical plot of land at the very heart of the vineyard, on one of the steepest areas. The ’12 Paradis by father and son François and Frédéric enters a sweetness zone without a sacrifice or surrender in loyalty to linear acidity. Peregrine fruit, in full feathery display is enraptured by tartaric of the highest degree. There is citrus atop rocks, a persistence and a perseverance that never relents. The ’10 GCP is yet a baby and in hallmark readiness of its necessary terroir. The petrol note remains a faint feign though its imminent presence is known. Such intense aridity, citric perforations, notes of wet concrete, highborn bitterness and unerring balance. Strength is supplied by sandstone and limestone. As much of a treat in classic 2000 Riesling as one might ever hope to be poured. The radiation here is mind-blowing. The citrus dartle, the rows and columns of acidity in geometrical patterns, the angles obtuse and abstruse. Such a tense and immature Riesling with a late gas attack and oxygen depleted atmosphere. Wow is the operative word though it remains to be seen if this will ever latch on to any gravitational pull or circle the cosmos for eternity. This Kaefferkopk dances in the dragon’s jaw, lies “up among the furs where it smells so sweet,” and it’s got me wondering where the lions are. Wow. Tasted from magnum. Incredibly atomic with a vineyard flinty stink that exhumes and exudes the benevolent bitterness of time. Has that vineyard dirt aroma and the wisdom of age. Something about this screams terroir, through earth caked stones, struck matchstick, wildness and purity. The domain is family run since 1610 and biodynamic since 2009. Pheromones have been used since 1996 and they were one of the first villages to do so. Proudly announced as “vendanges à la main,” or, hand-picked grapes. This VV ’12 is bone dry, citrus in laser focus and a product of the calcaire solis with a pink quartzite quarry behind the village. The multitude of rock gives lightness in texture to this ’12 of wizened vines. This is a great example of Alsace Riesling emulated by VQA Bench Riesling in Niagara. Here is rich example made by Éliane Ginglinger in Voegtlinshoffen. The Grand Cru vineyard gives as mush calcaire tang as any in the region, feigning oxidation but it’s really a most pronounced salinity. A piquant and forward Riesling with a whiff of violet. Further along in development than many ’12’s, the Goldert will be ready for prime time in two to three years. The single-vineyard focus in ’11 is striking but not as piercing as some. The elegance factor here is a breath of Eguisheim air. Increased in poise, savoury accents and a florality that brings to mind chamomile tisane. At 13.5 per cent alcohol there is strength in balance. A late harvest VT scaled astern to a mere 14 g/L in sugar. Has developed such a deep golden hue, this muliebrity representative who proclaims sapidity in staunch mineral behaviour. Remarkably elegant and crisp for her age, the Goldert VT shows nothing particularly sweet about her. No conceit either, intense yes, but very fresh. Were I a proclaimer I would surely sing “I would walk 500 miles and I would walk 500 more, just to be the man who walked a thousand miles to fall down at your door.” I’m gonna be wanting another go at this ’98 next time I find myself in Alsace. From a south-facing slope and sandstone soil, Haag’s Weingarten shows good potential for aging. 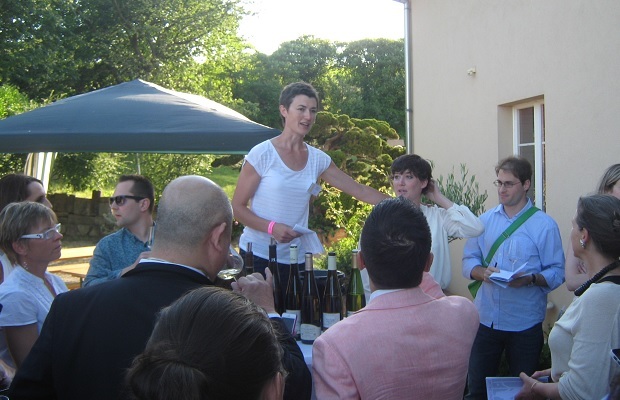 “A grower’s vintage,” notes Myriam Haag. “A winemaker’s vintage,” one that required acumen and experience. There is a dry elegance about this grainy white, an imperial brackishness and a sense of “écrou bougie,” or candle nut. Will age and needs to. Shows rich, viscous complexity with the sensation of star anise and menthol. There is a fumée discernment, an oily, nutty and spicy feel. Singular and enticing, like a chestnut dessert, layered with mousse, sabayon and toasted dust. Luxuriance abounds from this ’11, elevating the oft-pierced variety to levels of lavishness and prodigality. Though it takes wing in petrol, it’s really just the spoken texture and flavours of the bleeding rocks. Bitters abound too but is this not what you want from Grand Cru Riesling? Fine, ritual, yet highly modern stuff. An enervating wine with richness bled from rocks and a finishing noble bitterness. The orchard fruit here is very ripe, more so than much of the 100+ Rieslings tasted over the course of a Colmar week. Marked by green apple, citrus and a middle-slope calcaire limestone (with sandstone on the edges) pierce. Such direct freshness and palate texture from that silty rock. 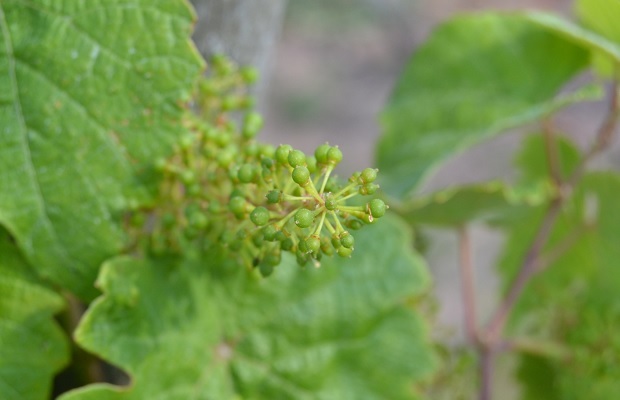 A slow release wine, similar to the Zinnkoepfle 2008, a Riesling now in its secondary stage of development. Here the noble rot has produced a Riesling thick in gluck and bright, golden sunshine fruit. Clearly protected from rain and wind by the Massif forest above, the 2000 has not yet relinquished the warmth in the bottle, along with a confected concoction of marmalade and blanched nuts. Though it has been bequeathed a slight mineraliztion with 14 years time, there is weariness to the fruit. Now is the window for maximum enjoyment. The Osterberg Grand Cru is situated in Ribeauvillé and the Riesling is characterized by a stratified tartaric acidity. The ’12 is neither linear nor round, but layered instead and is a pure analogue of that rich style, with a slight residual subsidy. Extended hang time seems the bent so ripeness follows. The fruit is bulky and beefy though in a white veal way. If overall there is a curtailment in grip and outright anxiety the ’12 Osterberg will age unhurriedly for 10 years. The comparison with the other seven GC 2000’s on the table is hard to avoid so this one would make me think it leans late harvest. The Rosacker too is young and primary, teases and feigns VT but don’t be fooled by its unctuous sunshine. The dry quotient is extreme, despite the nuts. It is viable and rocketing in an elemental chew of salted stones. The finish is long and beautifully bitter. Under the direction of winemaker Geneviève Barmès, energy is the primary distinction of the domain’s wines, exemplified by this all out mineral Hengst. Carrying forth a tradition initiated by Francois (Geneviève’s late husband), biodynamic farming brings out an autonomy to define that energy and here specifically a stark, terrific bitterness so prevalent from the Hengst Grand Cru. Not so much a study in bright fruit, the flesh is one of stone texture, flinty accents and an awe-inspiring, old school funk. Very serious Riesling. Not for the faint of white. The Steingrubler soils are some of the most complex and variegated in all of Alsace. Marno-calcaires and argilo-sableux incorporates calcaires oligocènes and smaller areas of fine granite. The smorgasbord of terroir makes for an elemental potpourri impart, a bitter limestone tablet dissolving as it rolls through a gasoline alley. The bitters are everywhere, in underlay, in overlay, in granitic streaks. Having entered secondary life, this 2000 is “goin’ home, running’ home,” back to where it was born. It may be said that this particular Riesling represents its terroir as much as any that can be assessed. A steward of place. This entry was posted in Alsace, Engelberg, France, Goldert Grand Cru, Hengst Grand Cru, Kaefferkopf, Kappelweg de Rorschwihr, LCBO, Osterberg, Pfingstberg, Pflaenzerreben de Rorschwihr, Rosacker, Silberberg De Rorschwihr, Sonnenberg, VINTAGES, VINTAGES Releases, WineAlign, Wines Tasted and tagged #Milasma2014, Alcoholic Beverage Manufacturing, Beverage Manufacturing, Beverages, Bruce Cockburn, Caves François Schmitt, Culture and Lifestyle, Domaine Barmès-Buecher, Domaine Jean-Marie Haag, Domaine Maurice Griss, Domaine Sipp-Mack, Domaine Stentz-Buecher, Domaine Valentin Zusslin, Drinks and Beverages, Eliane Ginglinger, Elvis Presley, Food and Beverage Sector, Food and Cooking, Food and Wine, Genesis, Ginglinger-Fix, Maison Rolly Gassman, Michael Godel, Millésime Alsace, Riesling, Rod Stewart, Tasting Notes, Vendanges Tardives, Vineyards and Winemakers, Vins Jean-Baptiste Adam, Voegtlinshoffen, White Wine, Wine, Winemaking. 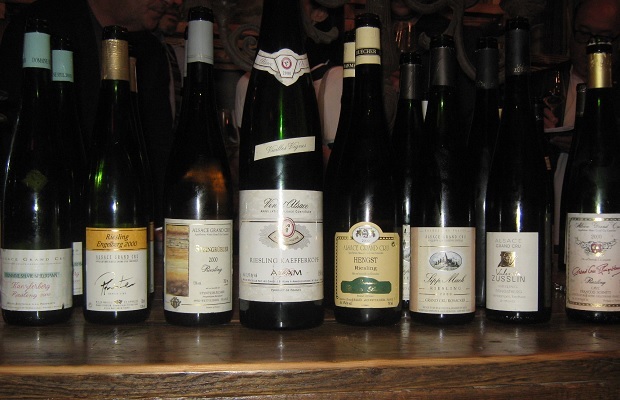 Great notes–will have to add some of these to the list the next time I am in Alsace!